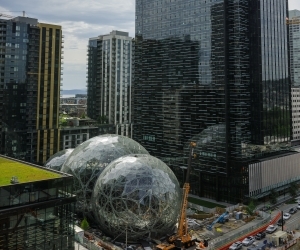 The Spheres are unique structures built by Amazon at their headquarters in downtown Seattle to provide a space where employees can think and work differently surrounded by plants. And we say, bravo Amazon! 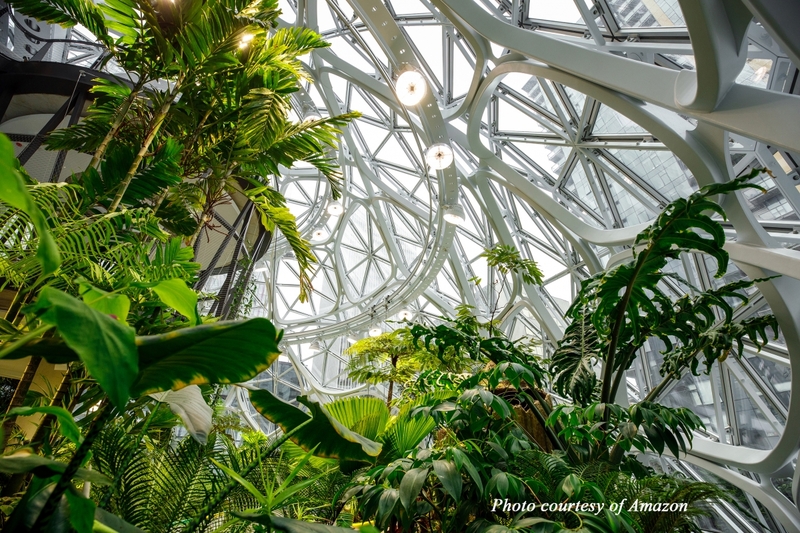 Typical urban offices are sterile without plants and Amazon sought to enhance their headquarters with a direct link to nature via 40,000 plants from the cloud forest regions of over 30 countries. This mini forest is all contained behind 2,643 panes of glass and a steel frame in the geometric shapes of a pentagonal hexacontahedron. 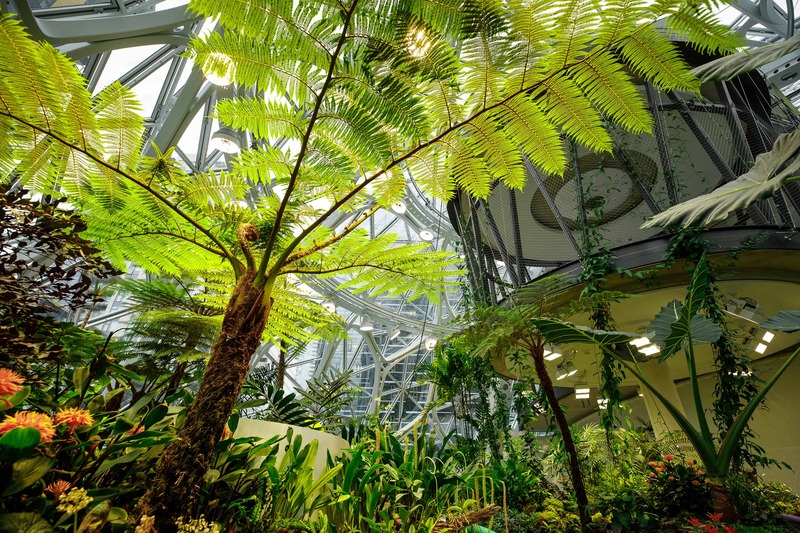 The plants in The Spheres are organized into several different unique green spaces. One such space is the vertical gardens of the Canyon Living Wall that consists of over 25,000 plants woven into 4,000 square feet of mesh and stretches 4 stories high. The living walls also highlight flora from the world’s cloud forest and were chosen for their ability to thrive in conditions comfortable for people. The tallest plant in The Spheres is a Ficus rubiginosa tree. Rubi, as she is affectionately called, was trucked in from Somis, California. She was planted in a tree farm back in 1969 and after a 3-day, 1,200 mile venture on the back of a flatbed truck stands proudly at 49 feet high and 30″ around the trunk under the glass domes.